I have sold a property at 301 12310 222 ST in Maple Ridge. THE 222! - NO GST! This as new 2 bedroom, 2 bath home is a bright and spacious corner unit, with plenty of windows throughout. Bright and clean decor, with easy care laminate wood style flooring, tile entry and bathrooms, and even AIR CONDITIONING built in! Don't miss the Eric Langton Elementary and MRSS secondary nearby. Plus an easy, flat walk to all shopping, restaurants, coffee shops, and pharmacies, plus transit, make this a great place to leave the car behind. Enjoy the balance of the 2-5-10 warranty so you can invest with confidence. BONUS - 1 storage locker, 2 parking stalls, rentals ok, and 9' ceilings and stainless steel appliances. All measurements are approximate, buyer to verify if important to them. I have listed a new property at 301 12310 222 ST in Maple Ridge. THE 222! - This as new 2 bedroom, 2 bath home is a bright and spacious corner unit, with plenty of windows throughout. Bright and clean decor, with easy care laminate wood style flooring, tile entry and bathrooms, and even AIR CONDITIONING built in! Don't miss the Eric Langton Elementary and MRSS secondary nearby. Plus an easy, flat walk to all shopping, restaurants, coffee shops, and pharmacies, plus transit, make this a great place to leave the car behind. Enjoy the balance of the 2-5-10 warranty so you can invest with confidence. BONUS - storage locker, 2 parking stalls, and 9' ceilings and stainless steel appliances. All measurements are approximate, buyer to verify if important to them. 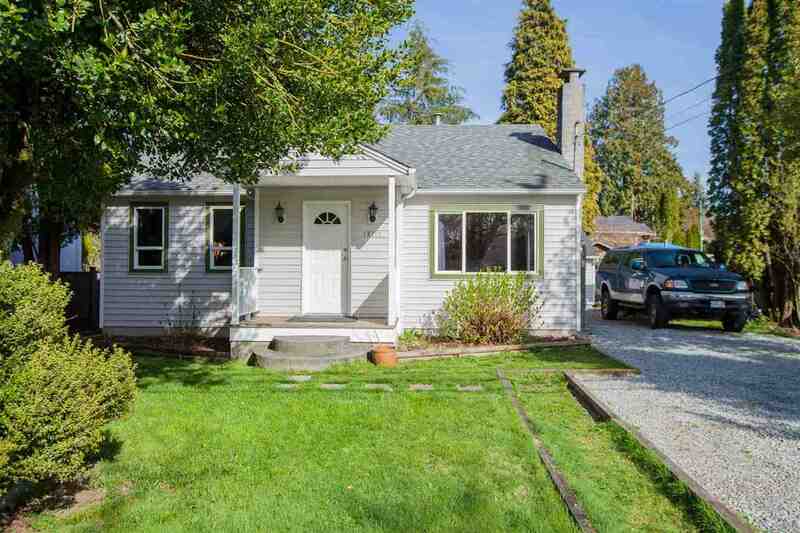 I have listed a new property at 12760 216 ST in Maple Ridge. I have sold a property at 22023 124 AVE in Maple Ridge. I have listed a new property at 22023 124 AVE in Maple Ridge. Please visit our Open House at 22023 124 AVE in Maple Ridge. I have sold a property at 21449 121 AVE in Maple Ridge. QUICK POSSESSION POSSIBLE, BRAND NEW 2 STORY + BASEMENT IN WEST MAPLE RIDGE - enter to find a flex room, stair case w/glass rail & Great room w/floor to ceiling brick fireplace & in ceiling speakers. Kitchen boasts floor to ceiling back lit cabinets (plywood construction) & large quartz island w/eating bar. 4 bedrooms up (4th bed does not have closet). Don't miss the ensuite w/ dual vanities and free standing soaker tub. Stove set up for dual fuel, double gas outlets on patio, hot water on demand, side mount quiet garage motor, fully fenced yard and AIR CONDITIONING! All this, walking distance to schools K-12, and easy access to Golden Wars Way. Price plus GST. All measurements approx, buyer to verify if important to them. I have sold a property at 42 22280 124 AVE in Maple Ridge. Hillside Terrace Townhome - This END UNIT boasts a very rare 4 BEDROOMS UP, and a side by side DOUBLE CAR GARAGE. Enter to find a kitchen with eating area, powder room on the main, and an oversize living/dining area boasting a gas fireplace and easy care laminate wood style floor. Great backyard features a patio and southern exposure. Upstairs theirs a full four piece bath, and a large master bedroom with ensuite and tons of windows. All just steps to the downtown core, Maple Ridge Secondary, transit, and a quick drive to Abernathy Way and Golden Ears Bridge. All measurements are approximate, buyer to verify if important to them. OPEN SATURDAY & SUNDAY May 27/28TH 2-4 PM. I have listed a new property at 42 22280 124 AVE in Maple Ridge. Hillside Terrace Townhome - This END UNIT boasts a very rare 4 BEDROOMS UP, and a side by side DOUBLE CAR GARAGE. Enter to find a kitchen with eating area, powder room on the main, and an oversize living/dining area boasting a gas fireplace and easy care laminate wood style floor. Great backyard features a patio and southern exposure. Upstairs theirs a full four piece bath, and a large master bedroom with ensuite and tons of windows. All just steps to the downtown core, Maple Ridge Secondary, transit, and a quick drive to Abernathy Way and Golden Ears Bridge. All measurements are approximate, buyer to verify if important to them. OPEN SATURDAY & SUNDAY 27/28TH 2-4 PM. Please visit our Open House at 42 22280 124 AVE in Maple Ridge. I have listed a new property at 21449 121 AVE in Maple Ridge. Please visit our Open House at 21449 121 AVE in Maple Ridge. AVAILABLE TO MOVE IN END OF MAY 2017! WEST MAPLE RIDGE QUALITY BUILT BY WESTACK DEV LTD, NEW 2 STOREY + BASEMENT HOME - enter to find a flex room, stair case w/glass rail, & Great Room w/floor to ceiling brick fireplace & roughed in speakers. Kitchen boasts floor to ceiling back-lit cabinets, large quartz island w/eating bar, & 4 bedrooms up (4th bed does not have a closet). Don't miss the ensuite w/ dual vanities and free standing soaker tub. LOADED- roughed in for dual fuel stove, double gas outlets on patio, hot water on demand, fully fenced, and landcaped PLUS AIR CONDITIONING! All this, walking distances to schools K-12, and easy access to Golden Ears Way. Price Plus GST. All measurements approx, buyer to verify if important to them.